A very cool looking nudi found on one of my dives in Lembeh Strait Indonesia. There is very little natural history information on this species or even the family apart from a note that they feed on sponges. Excellent angle on this beautiful creature, lots of interesting details. 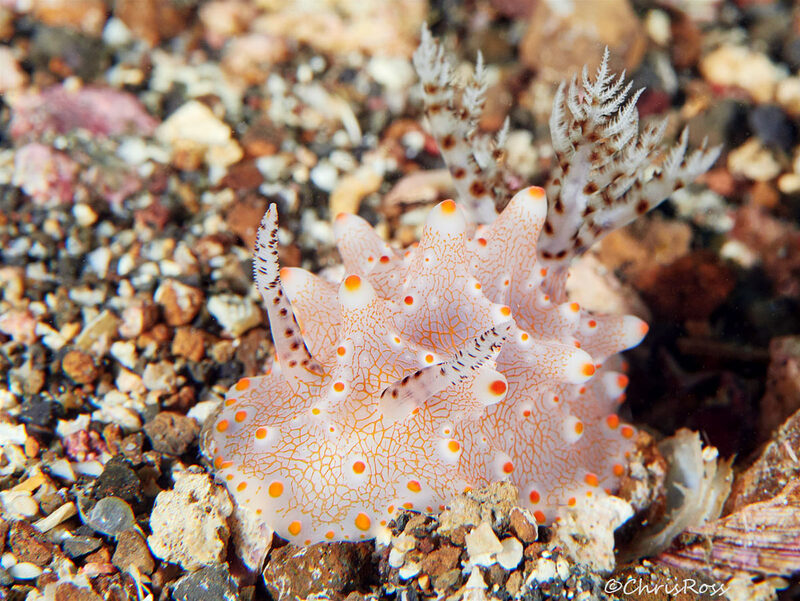 A wonderful view of this beautiful baby pink nudi, Chris! Beautiful image of this rare, colorful and well patterned creature. Nice image. Love the reticular pattern and the details.